French student Marc Thomas, Louisianan slave-owner Chloe Arcenaux, and American teenager Hunter Wells couldn't be more different, but they all have one thing in common: none of them asked to be ripped from their lives and flung into the middle of a war in another world. Yet as they scramble to survive, the three Humans discover that they may be the only ones able to protect Tranthaea from certain annihilation. An unsolved mystery that stretches back through millennia could hold the key to victory, but there are those who would prefer the answer remain hidden. Straddling both sides of the conflict, Hunter, Marc, and Chloe must withstand the battling factions as well as the secret desires of their own minds if they are to succeed. Will they be willing to pay the price of victory? Or will they fall into darkness? 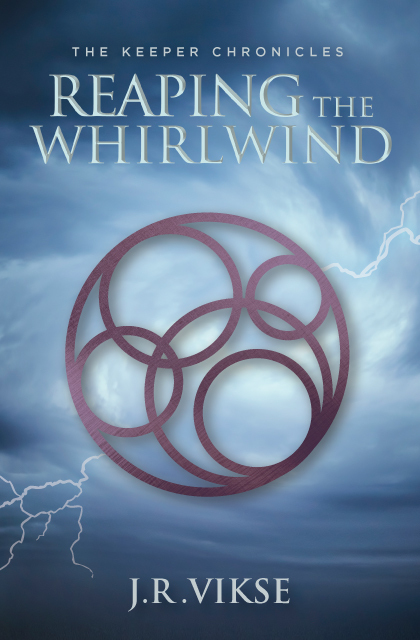 Readers all over the globe have been revelling in the incredible world that J.R. Vikse created in this fantastical series for youth and young adults. After reading about the wild adventures of Jingwei and Callum in Playing with Fire and the dangerous expeditions of Aiden and Hiari in Running to Ground, readers can now look forward to the dramatic conclusion of the exciting The Keeper Chronicles with this final instalment in the series. This unique trilogy is perfect for fans of The Chronicles of Narnia and the Harry Potter series. With his trademark wit and well-drawn characters, Vikse creates an incredible new world like nothing you've ever seen before. ​Prepare to say farewell to the world of Tranthaea.